One thing people often observe about technology is that the initial hype seems overblown, then one day the wave breaks upon us and things are moving faster than expected. Last year, when I first mentioned Ideal, a Toronto-based company offering AI to support recruiting, their clients were mostly interested in easing the burden of sorting through resumes. There’s real value in that; it can reduce cost per hire and time to fill, not to mention automating a task that humans find mind numbing. However, having caught up with Ideal recently, they let me know I was already out of date; the new focus is on quality of hire. That’s a more valuable, and more challenging, target. The basic process is, one might dare say, straightforward: use machine learning to identify high quality candidates by comparing the resumes of good hires to poor ones. This, of course, presumes high volume hiring (such as you get in retail chains like Hot Topic and Indigo) where there is enough data for machine learning to gain traction. Better quality of hire is possible for two reasons. The obvious one is that the tool can screen more resumes, more accurately, than human recruiters — as a result you end up with a better short list. The less obvious reason that these tools improve quality of hire is that they speed up the process so that you can snag the best candidates before some other company snaps them up. A bonus is that you can test for and tune out some of the bias that exists with human recruiters. To Ideal’s credit they don’t blindly let the machine do all the thinking, they oversee the algorithms with good application of industrial-organizational psychology principles. It’s clear that AI-based screening is rapidly evolving and is well on the path to widespread adoption for high volume hiring. What’s next? 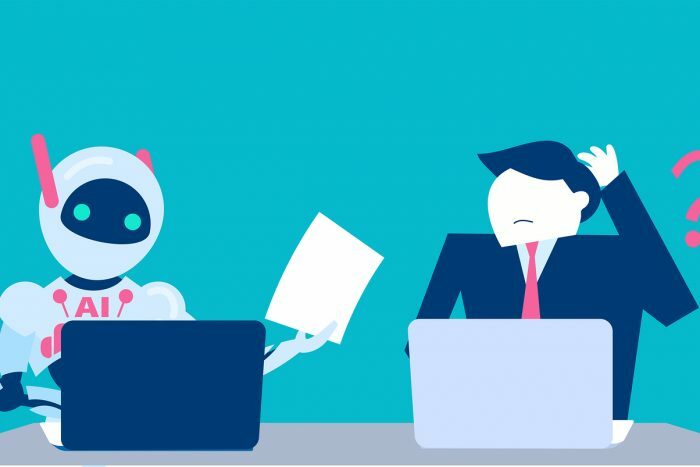 Data scientist Ji-A Min points to the fast-moving world of chatbots which can answer candidate’s questions and seek out answers to any information missing on the resume. She’s surprised the use of chatbots isn’t more widespread, but no doubt that adoption will come soon enough. Back in the olden days of AI (last year) the tool was used mainly to deal with incoming resumes; now it’s being extended to active sourcing where it will search through external databases. It’s another example of how fast things change in recruiting technology. Consider the objections you hear to piloting AI as issues to be dealt with, not reasons to shy away from technology. Yes, we’ve all heard that AIs can have bias (just as humans do) so let’s test for that and move on. Right now, firms like Ideal need to focus on high volume jobs because that’s where the data lies. However, I think specialist firms will arise that use machine learning to support recruiting for lower volume jobs. You may not hire a large number of accountants, but if you look at all the accountants hired by all the companies in your country, then you’ve got high volume hiring. A recruitment firm specializing in accountants could use machine learning to provide insights into selection that would not be uncovered by any individual organization.